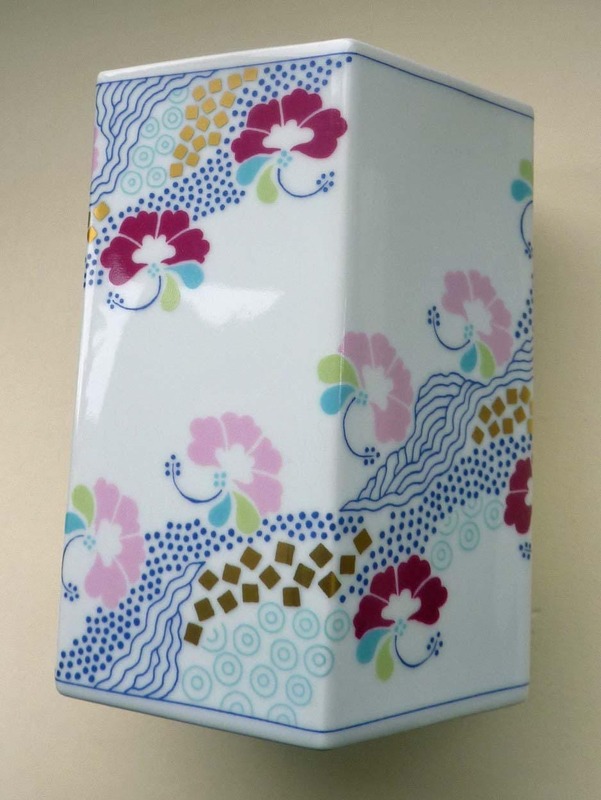 This is a very pretty vase designed in the 1980s by Annegete Halling-Koch Bing Grondahl, Copenhagen, Denmark. 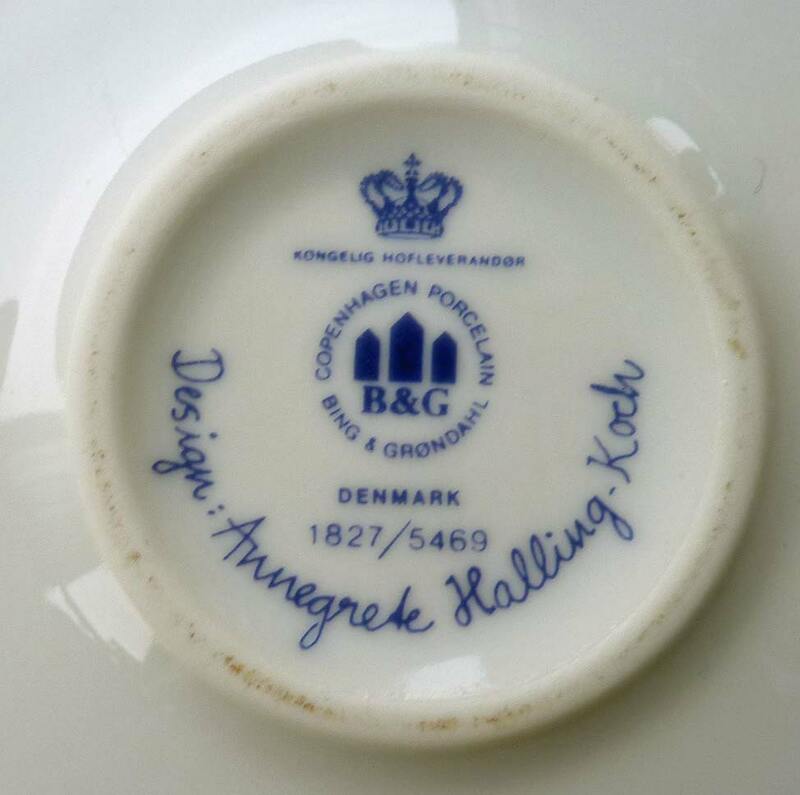 It is made of fine porcelain and of excellent quality and production and comparable in quality to Royal Copenhagen. 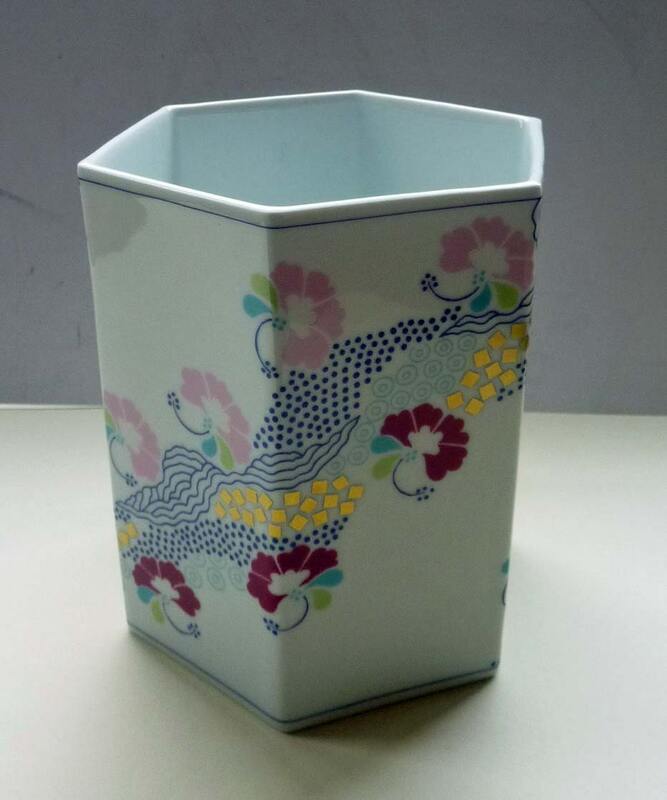 The main body of the vase is white and it is decorated with a winding pattern of stylised, almost Asian, flowers in blues, greens, pinks and with metallic gold highlights. There is a scattering of decorative gold squares integrated in the design. 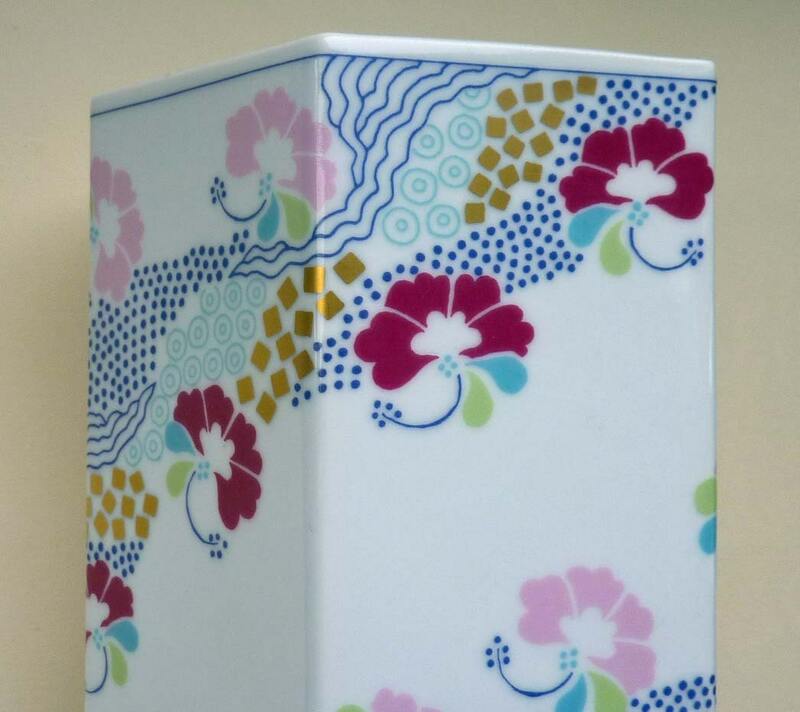 This pattern is now a discontinued one, and no longer in production. 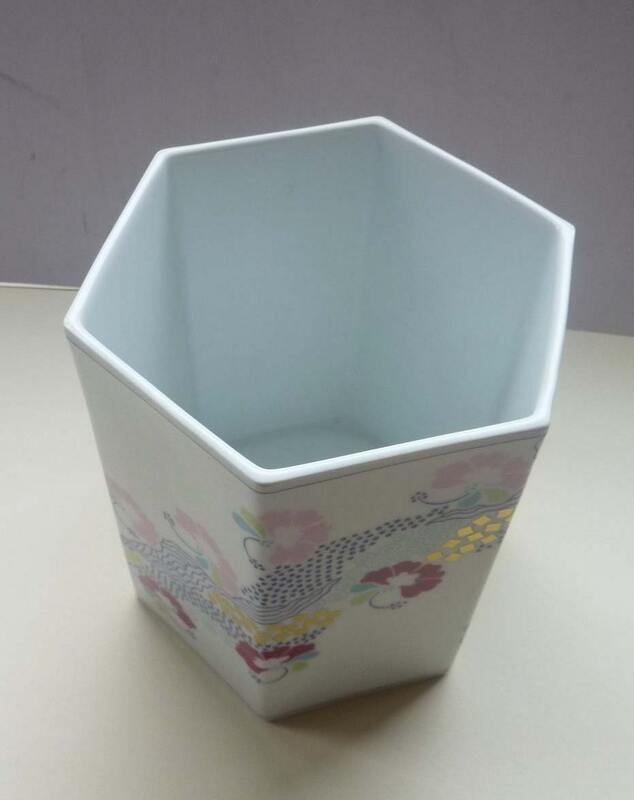 The vase is hexagonal in shape and measures about 6 inches in height. Each separate side panel is about 2 inches wide. 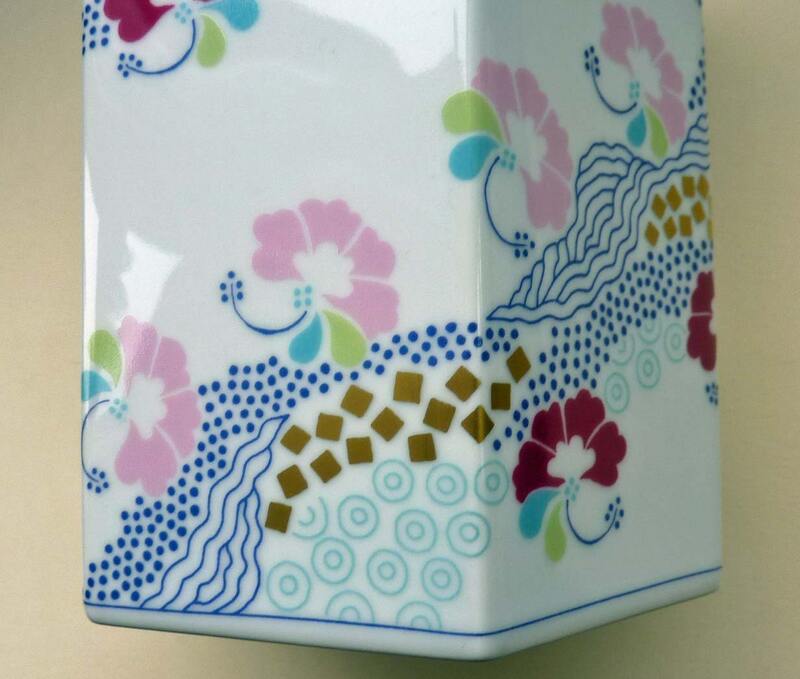 As you can see a lovely piece of Scandinavian ceramics, in excellent condition with no damages.